Slim consoles are nothing new. The PS3 and Xbox 360 both got slim versions a few years after initially hitting store shelves, and the PS2 got absolutely tiny by the time it was replaced by its successor. Even the original PlayStation got its PSone slimline version. 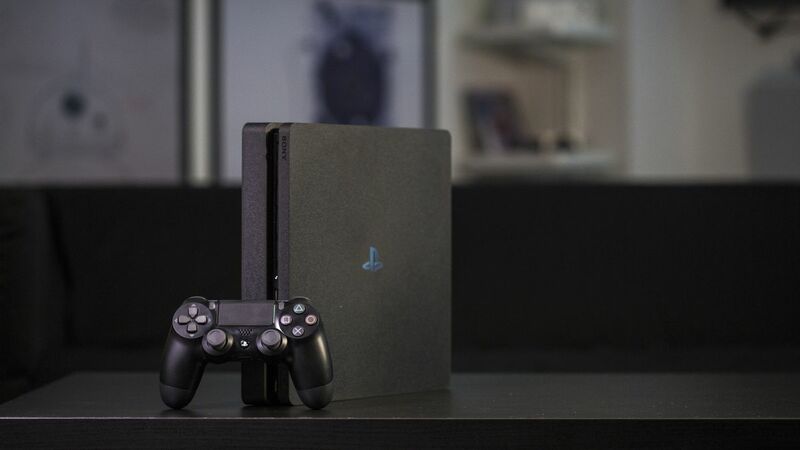 Now the PS4 is getting the same treatment with its 2016 redesign which many are dubbing the ‘PS4 Slim’. Slightly confusingly Sony has decided to call this new console the PlayStation 4 (as opposed to the PS4 Slim or PS4 Lite), since it will become the default PS4 going forward. We still have the 4K PlayStation 4 Pro to look forward to in November, but until then we’ve got the new slimline PS4 to dig our teeth into, which retails at £259 / $299 / AU$599.99 for the 500GB model, with a 1TB model expected further along down the line. The PS4 Slim might have entered the fray as Sony’s budget PlayStation offering, but that doesn’t mean it’s scrimping on its specs. In all key areas it matches the original PlayStation 4 console, and at many points outperforms it too. It’s also a far smaller console, shrinking the machine down by almost a third in volume, knocking 16% off the original’s weight and offering notable improvements in both power draw and noise output. The best PS4 games are among the finest available on any platform at the moment, with showstoppers like Uncharted 4 and Bloodborne the envy of PC and Xbox One gamers alike. They’ll all be compatible with the new PS4 Slim, as will every game going forward – Sony made it explicitly clear that every game for the PS4 Pro will work here, too. On top of the games themselves, the PS Plus network offering is as good a deal as it’s ever been, allowing you to partake in competitive or cooperative online multiplayer play and offering up a selection of three free games on a monthly basis too. In terms of competition, the PS4 Slim really only has two rivals – the existing PS4 and the Xbox One S. Nintendo can’t really compete with its Wii U (though it’ll be interesting to see what the so-called Nintendo NX brings to the table). And it’s against the Xbox One S where the PS4 Slim has its toughest fight. Only a tad more expensive, the Xbox One S looks great, has a fine selection of its own games, and comes packing a killer 4K Blu-ray player built in, making it a far more rounded media player than the PS4 Slim. For the time being, the Xbox One S has the edge with HDR color support too, though a firmware update will bring this to all PS4s shortly, levelling the playing field. But what’s on show here is still very, very cool. Should you buy the PS4 Slim? Read on to find out.